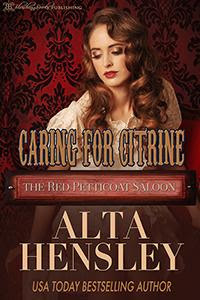 The Red Petticoat Saloon: The latest in the Red Petticoat Series by Maren Smith is here! 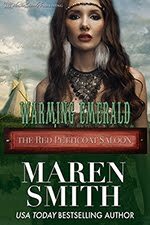 The latest in the Red Petticoat Series by Maren Smith is here! 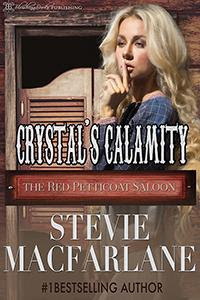 Once upon a time, in a land far, far away, I was asked to write a story for the Red Petticoat Saloon series. 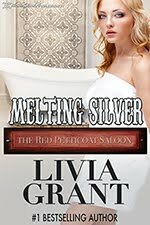 A series about prostitutes in the Wild West, each of whom is destined to get her own happily ever after. Are you kidding? Do you know how fast I said yes? I was thrilled to be a part of this project right from the very beginning. They sent out a spreadsheet of all the known gems, I picked my favorite available option and Jade's Dragon was born. It was supposed to be a ménage, but Cullen pretty much nipped that in the bud from the first chapter. Still, I did my best to give Jade a good story while, chapter by chapter, it became progressively harder to ignore a certain secondary character who kept trying to steal the show. Garrett was fun and funny to write, possessed of a quick smile and slightly off sense of humor. But, this wasn't his story, so I pushed him to the back burner... right up until (for those who read Jade's Dragon) the infamous brawl scene towards the end of the book. 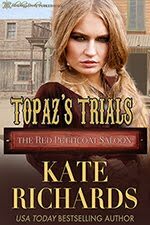 From the moment Garrett belted out that exuberate "Yee-hah" and dove headfirst into the fight in defense of his (as it turned out, wrong) brother, it became unbearably obvious that there was a-whole-nother story that desperately needed to be told. I remember typing away at my keyboard, watching in amazement as he tackled Emerald off Cullen's back and rolled her across the floor, and suddenly the attention was off Cullen and Jade and locked on the wrong couple. I couldn't 'see' them at all over Garrett's struggling attempt to gain the upper hand over this nameless gem who was fighting back against him. I could only type helplessly as Garrett climbed on top of her, grinning as he pointed a warning finger at her and in that sultry, teasing way of his said, "Behave. I mean it now. Behave." 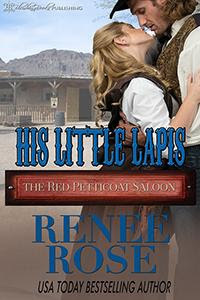 Her eyes flashed, her temper surged, and then I saw the bite-the infamous bite-and I lost it. 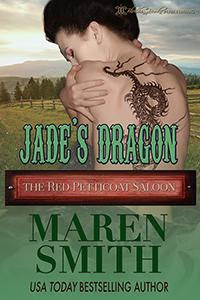 I stopped work on Jade's Dragon long enough to message Maggie Ryan and ask if I could be allowed to write a book for the next season of the Red Petticoat. Corbin's Bend, after all, had several seasons. I was expecting this to be like that. Imagine my panic when I discovered the Red Petticoat Saloon would receive only one season, a clear start and a definite end. "No!" I cried, and immediately begged her to let me write a second story. We were far enough into the series that a few authors had inevitably dropped out of the project due to time constraints. 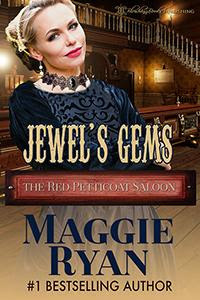 Maybe I could take one of their spots, whatever I had to do just so long as Garrett and this unknown angry gem sinking her teeth into his palm had their story. I couldn't leave it there. Fortunately for me, Maggie happily agreed to take my proposal to the publisher and (I will forever be grateful for this) accepted this extra manuscript on top of what was already an incredibly busy workload. Then and only then was I able to go back through the brawl scene in Jade's Dragon and sanitize it so the focus could return to the real hero and heroine, Cullen and Chin. Once that story was done, however, I was free to pick my next gem and delve into Garrett's romance. I thought it would come easily, considering how determined they were to hijack Jade's story. But while the plot line did pour effortlessly out onto paper, right from the start Garrett was determined to be like no hero I'd ever before described. He is witty and charming, quick with a joke and a smile regardless of what he's really feeling (especially when he's at his most dangerous), and absolutely head over heels infatuated with a woman who has learned to hate white men and soldiers. Both of which apply to him. In spite of all his charm, she wanted nothing to do with him and my heart broke... and then it broke again as all the reasons for why began to spell themselves out to me. Whether she wanted him or not, Garrett was perfect for her. A man who had made enough mistakes in his life not to hold another's mistakes against them. A man who delivered his authority with a gentle hand and even gentler words. He was a man who could, and would, discipline, though his reasons for doing so rarely follow the same lines of reasoning as the other authoritarians in Culpepper Cove. 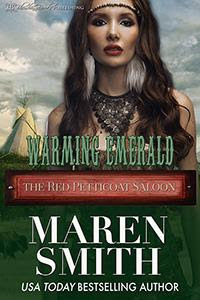 Garrett is the kind of dominant man readers will either love or hate, but if icy Emerald with all her soul-deep wounds could stand to linger long enough to warm to his methods, I'm hopeful all of you will as you read the newest in the Red Petticoat Saloon series: Warming Emerald. 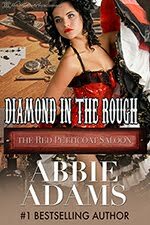 She is the 'savage' of the Red Petticoat Saloon, a white woman raised by Indians only to be ripped from her adopted family by enemy soldiers and-with her half-breed son in tow-forced back into a life she does not remember or want. She does not smile; she does not trust, but she will, for a few extra dollars, put her buckskins on before taking a man to bed. Called Emerald, she has bitten more customers than she has forgiven. It never once occurred to her that anyone would find that treatment enamoring... until the day of the Great Brawl when the eldest Drake brother stormed the Red Petticoat in his vengeful hunt for Gabe and the youngest, Garrett, tackled her to the floor. She'd lived up to her reputation that day, grinding her teeth into the palm of his hand until she tasted blood, and forever won herself the erstwhile affections of a man who refused to understand the concept of 'get lost'. No one knew how to hide behind a smile like Garrett Drake. Haunted by a past he would never honor with words, he knew the soul-biting pain of incorporeal scars when he saw it. 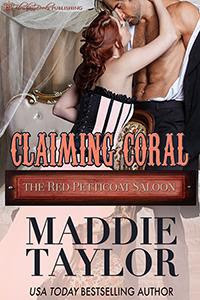 And from the moment he clapped eyes on Emerald-and she clamped her sharp little teeth on him, painting her lips with his blood-Garrett recognized his suffering soul's long absent mate. She was prickly, temperamental, tense... afraid... what about that could draw him as intensely as it did, he had no idea, but the more she insisted he go away, the more impossible he found it to leave. And then soldiers came to Culpepper Cove with orders to remove Emerald's very young son to a reservation in which she could not go. After that, leaving ceased to be an option. 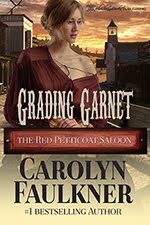 Armed with an off-kilter joke and a smile, Garrett allied himself to the woman he loved...whether she wanted him to or not. Because she was warming to him, by God, and that right there made everything he was about to do worth it. DISCLAIMER: This book contains the spanking of adult women and sexual scenes. If any of these offend you, please do not purchase this book.